In the design of large and complex digital systems, it is often necessary to have one device communicate digital information to and from other devices. 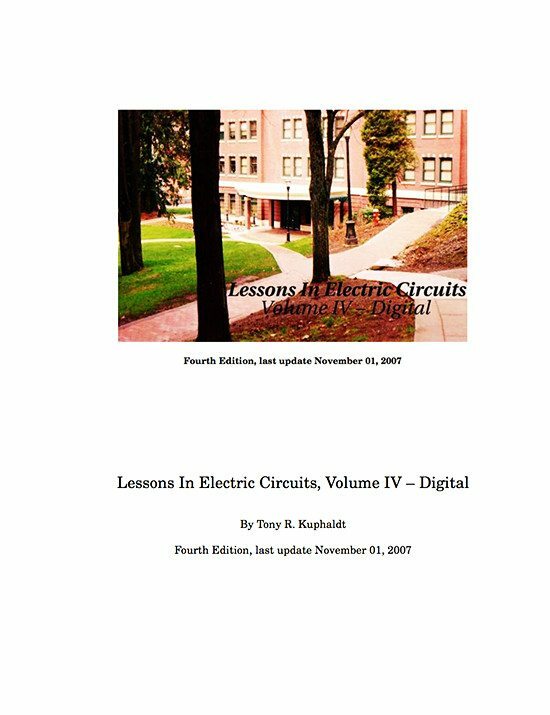 One advantage of digital information is that it tends to be far more resistant to transmitted and interpreted errors than information symbolized in an analog medium. 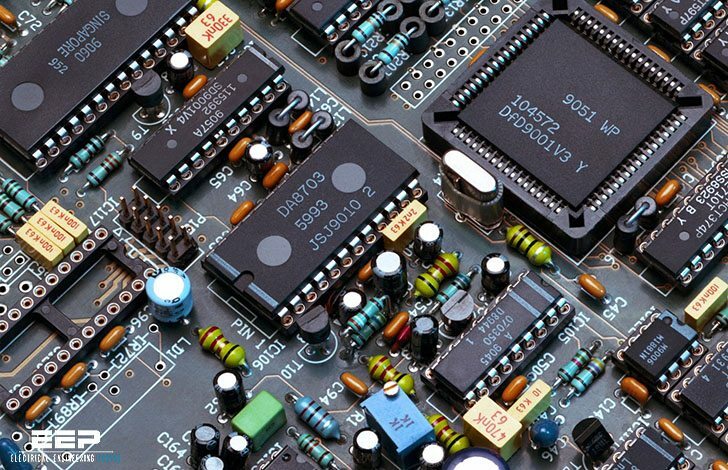 This accounts for the clarity of digitally-encoded telephone connections, compact audio disks, and for much of the enthusiasm in the engineering community for digital communications technology. However, digital communication has its own unique pitfalls, and there are multitudes of different and incompatible ways in which it can be sent. Hopefully, this book will enlighten you as to the basics of digital communication, its advantages, disadvantages, and practical considerations. Suppose we are given the task of remotely monitoring the level of a water storage tank. Our job is to design a system to measure the level of water in the tank and send this information to a distant location so that other people may monitor it. Measuring the tank’s level is quite easy, and can be accomplished with a number of different types of instruments, such as float switches, pressure transmitters, ultrasonic level detectors, capacitance probes, strain gauges, or radar level detectors. For the sake of this illustration, we will use an analog level-measuring device with an output signal of 4-20 mA. 4 mA represents a tank level of 0%, 20 mA represents a tank level of 100%, and anything in between 4 and 20 mA represents a tank level proportionately between 0% and 100%. If we wanted to, we could simply send this 4-20 milliamp analog current signal to the remote monitoring location by means of a pair of copper wires, where it would drive a panel meter of some sort, the scale of which was calibrated to reflect the depth of water in the tank, in whatever units of measurement preferred. This analog communication system would be simple and robust. For many applications, it would suffice for our needs perfectly. But, it is not the only way to get the job done. For the purposes of exploring digital techniques, we’ll explore other methods of monitoring this hypothetical tank, even though the analog method just described might be the most practical. The analog system, as simple as it may be, does have its limitations. One of them is the problem of analog signal interference. 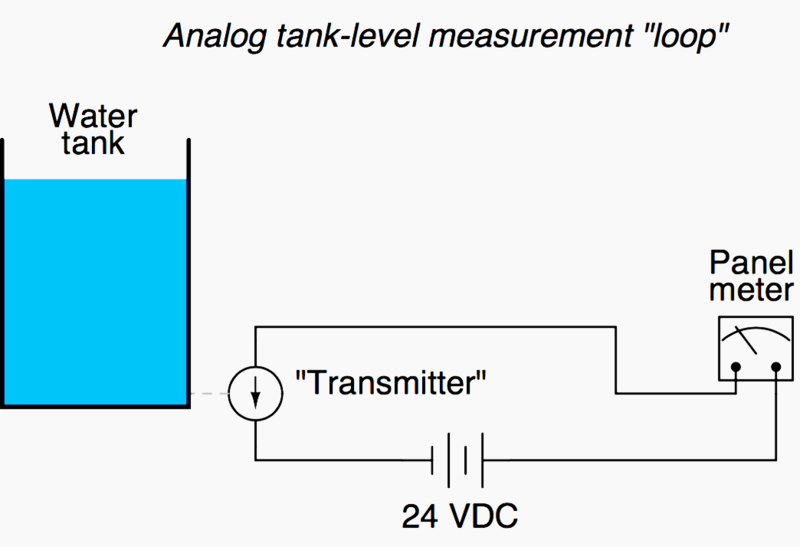 Since the tank’s water level is symbolized by the magnitude of DC current in the circuit, any ”noise” in this signal will be interpreted as a change in the water level. With no noise, a plot of the current signal over time for a steady tank level of 50% would look like above.